Creativity matters. It’s a skill that all children can learn and when it’s practiced every day, kids become the critical thinkers, problem solvers, and leaders in the classroom, and they’re better prepared for professions of the 21st century. 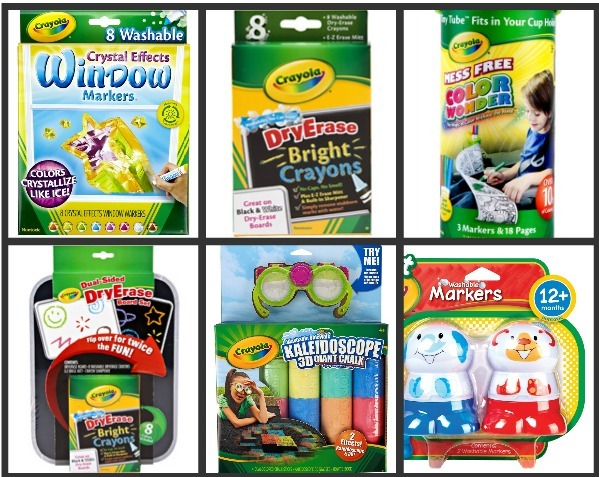 Crayola wants every child to be creatively alive, so they’re inviting parents “Inside the Crayon Box,” for a special live chat with celebrities and trusted parenting experts that will inspire and spark ideas to expand your child’s creative thinking. If you find yourself looking for new ways to inspire your children to express their ideas and build their creativity, you’ll want to join us to learn and share! 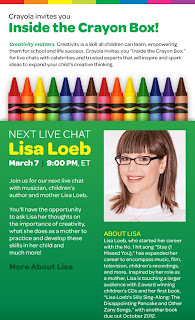 The first “Inside the Crayon Box” live chat is Wednesday, March 7 with musician, children’s author and mom, Lisa Loeb for a 45-minute live streaming video chat on the Crayola Facebook page. 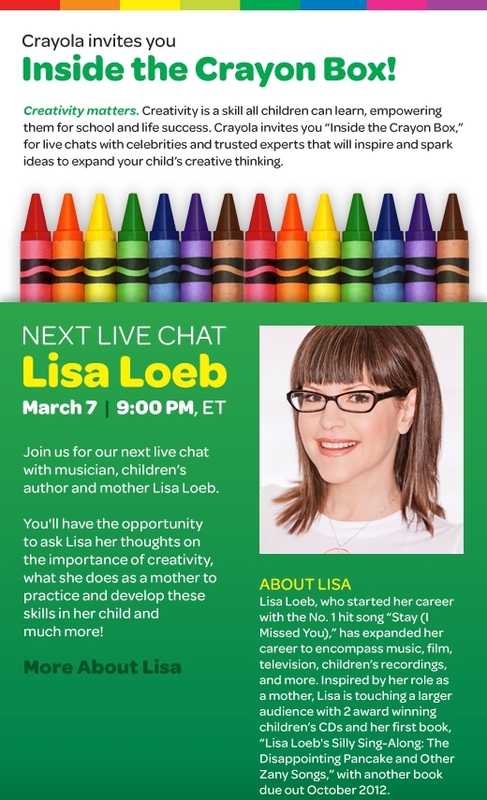 Lisa, best-known for her number one hit “Stay (I Missed You),” will share as personal stories, practical advice and ways she brings a little creative play into every day for her daughter. Also, be sure to check out Lisa’s book Lisa Loeb’s Silly Sing-Along: The Disappointing Pancake and Other Zany Songs (Sterling Children’s Books, 2011) available at Barnes & Noble and Amazon.com. Sing, laugh, and play with pop Lisa in this fabulous collection of ten of the silliest songs ever. Fun activities, games, and recipes accompany whimsical songs. Take Lisa's Silly Sing-Along with you wherever you go and get the high-spirited good times started. Includes a 10-song CD recorded by Lisa! And, you can follow Crayola on Facebook to keep up to date on all the latest products and news, and to keep posted on the next “Inside the Crayon Box" event! just so you know, your "like me on facebook" is not working, i had to find you and friend you.